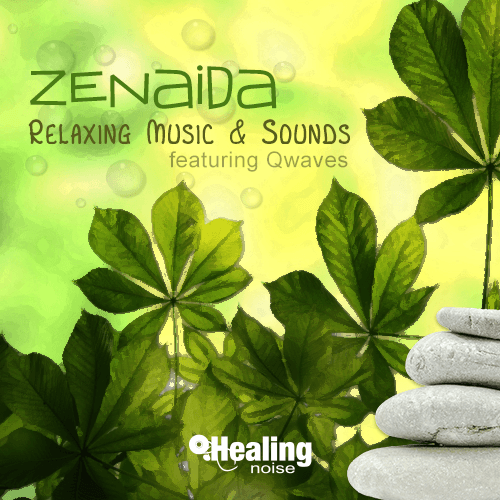 Zenaida is a finely crafted relaxing music compilation with embedded sounds of nature. Enjoy Zenaida in the comfort of your home or office, any time you need a quick retreat from stress filled situations typical of our modern life style. Ideal as a Sleep Aid Soundtrack for all ages. Zenaida has been praised by holistic healing practitioners has a ideal tool to promote a sense of wellness in yoga studios, meditation rooms, reiki studios, and similar places where a calming ambient is required. Enjoy embedded realistic Sounds of Nature which create a truly soothing and relaxing experience, featuring Qwaves by Healingnoise. Zenaida is the ideal choice for those looking for a natural and pleasant way to stay relaxed. Qwaves is a relaxing digital soundscape created by Healingnoise that resembles the sounds of randomly occurring dripping water. Enjoy pure instrumental music without the semantic distraction of lyrical content. Zenaida has been compiled with pristine audio quality to give you an easy listening relaxing experience that is ready to delight your friends and family.